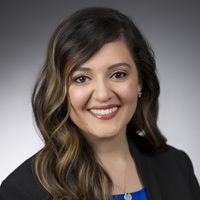 Delta Dental of Oklahoma (DDOK) is proud to announce Foundation Clinic Coordinator Emma Brito has been accepted to the Dental Hygiene Program at the OU College of Dentistry (OUCOD). She will begin classes at the start of the fall semester in August. Emma joined DDOK in 2016 as Clinic Coordinator for the Foundation’s sealant and oral wellness screening programs. In her time with DDOK, her primary responsibility has been coordinating the Foundation’s school-based sealant program. This includes promoting, planning, scheduling and overseeing approximately 75 clinic days held at 28 schools each year. In addition to the sealant program, she coordinates the Foundation’s on-site oral wellness screening clinics for clients who request them. She is a strong advocate for children’s oral health, and her passion for dentistry, public service and patients shows in her work.